Matthew Maher was born in County Westmeath, Ireland between 1845 and 1850. He came to Chicago in 1869 and boarded with his brothers, John and Frank, at 1332 State Street, which is now the 2900 block of South State Street. Matthew married Elizabeth Fox in 1876. He died in 1912, followed by Elizabeth in 1936. They are buried at Mt. Olivet Cemetery in Worth, IL. For further information, contact the Chicago Genealogical Society. 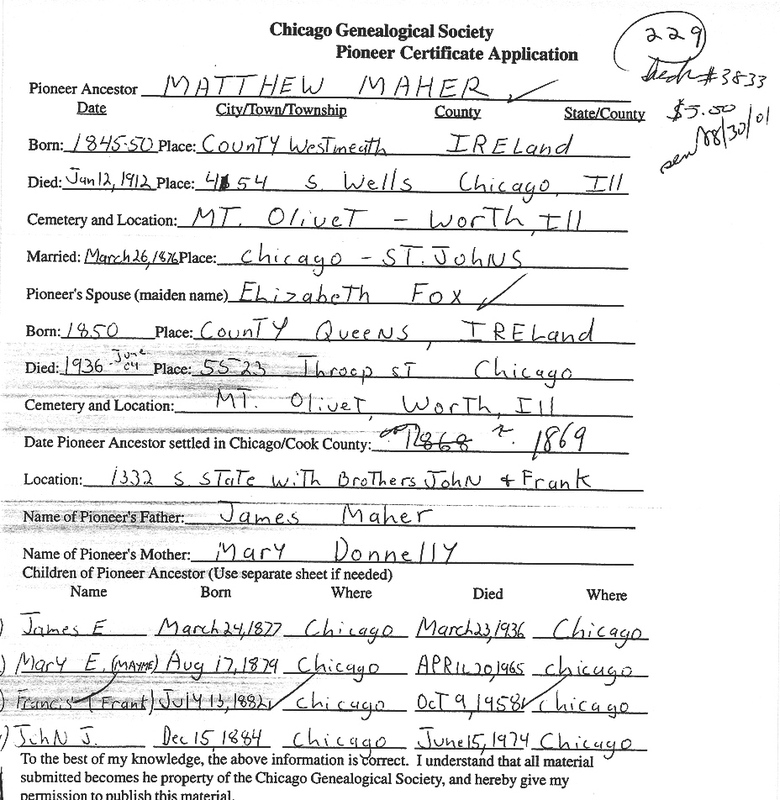 Matthew Maher is Pioneer Ancestor number 229.